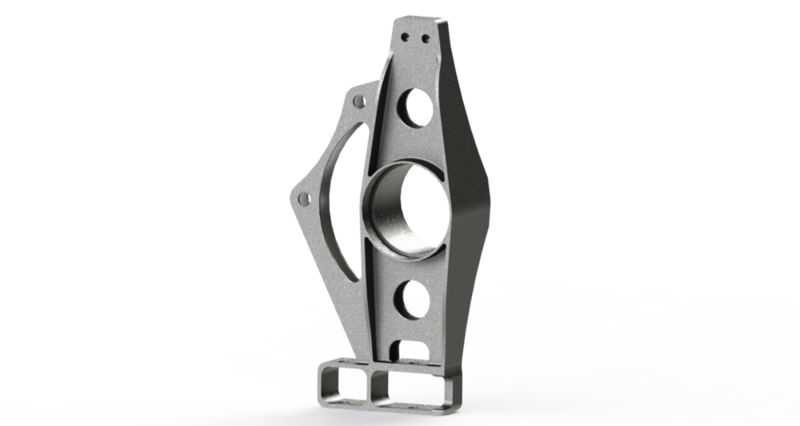 In the previous five or six years the DFR teams had used aluminum uprights, which were designed in SolidWorks and then sent out to a 5-axis mill to be machined. As we were starting from scratch, we decided to take the opportunity to try something different. We decided to design the uprights out of bent sheet metal to both learn about that design methodology and to be able to construct them in house. We machined jigs, welded all the parts together, and then sent them out to be uniformly heat treated. 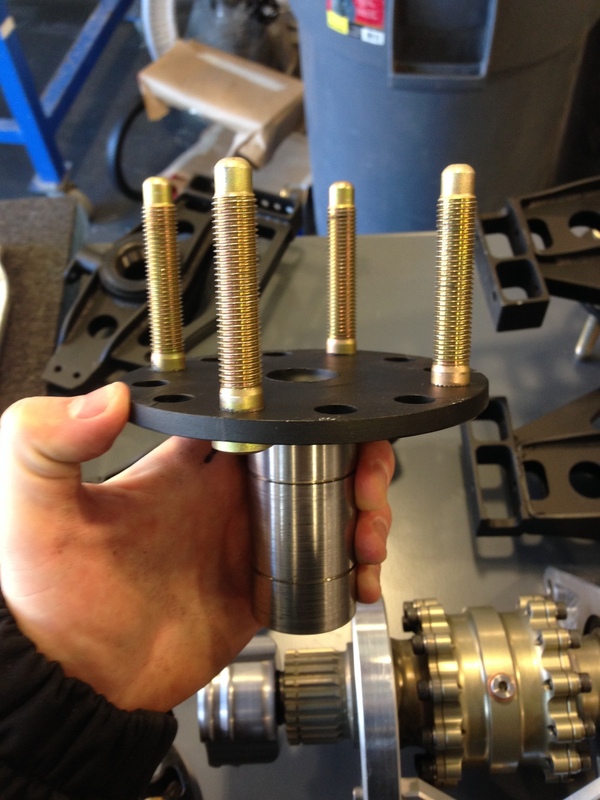 Once that was finished the parts went back on the mill to be precisely machined for bearing races. While designing the uprights, we had to concurrently think about how all the components of the wheel assemblies were going to fit together. This included brake rotors and calipers, A-arms, toe rods, steering rods, Hall effect sensor mounts, and drive shafts. Fitting everything together was a huge challenge that influenced the design of the uprights and threw us the occasional curveball.